I got the keys for my new studio space yesterday, YAY!!! I am super excited, but also a bit stressed. There is so much work to do to get it set up. It's hard to split my focus between getting everything in order and the daily tasks. I will try to snap some before photos today, so that I can share them on the blog tomorrow. I hosted a bridal shower for my soon-to-be sister-in-law over the weekend. 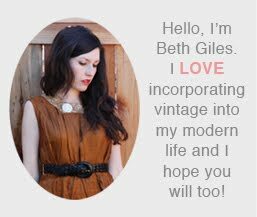 It was a vintage culinary theme because they love to cook and eat at new restaurants together. 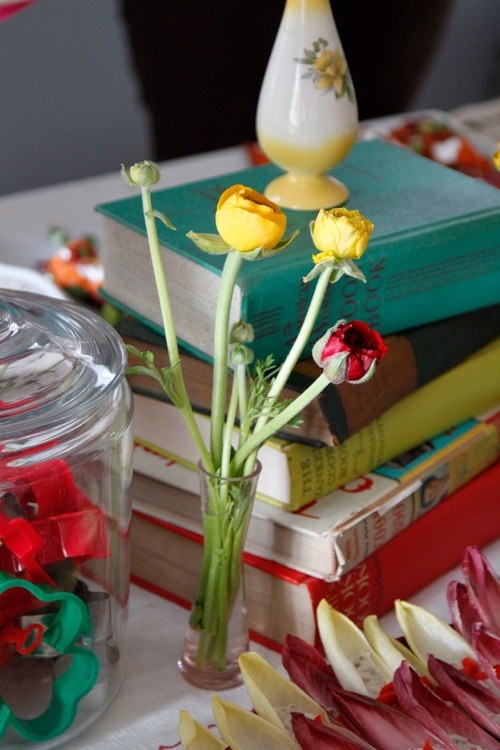 I decorated with vintage cookbooks, jars of cookie cutters, colorful food and flowers. Guests brought recipe cards that were mailed with the invites and filed them in a vintage recipe box given to the bride. I used little chalkboards to make signs and gave wooden spoons as a practical, theme-appropriate favor. For the game, I asked my brother (the groom) food related questions before the shower (ie. what did you eat on your first date?) and the bride had to guess what his answers were. Guests guessed how many she would get right and I gave vintage aprons, pyrex bowls and baking mixes as favors! We had a great time celebrating, I just can't wait to make my new sister official! This is such a great idea!! I can't wait to throw a shower for a foodie so I can do the same ;) Thanks for the idea!! Evelyn and I had such a great time! I don't think I told you how lovely everything was. The pictures came out great. What a fun and creative theme! I love the recipe box idea, and the wooden spoon favors are pure genius.